The Program-at-a-Glance is available as PDF here. The full detailed program is available on this page, after the plenary speaker bios. Tracks in this years conference include: Education, Health, ELL & Dual Language Education, Youth Development, Change & Integration, and Economic Development & Civic Engagement. The program is determined by the Planning Committee and conference chairs. 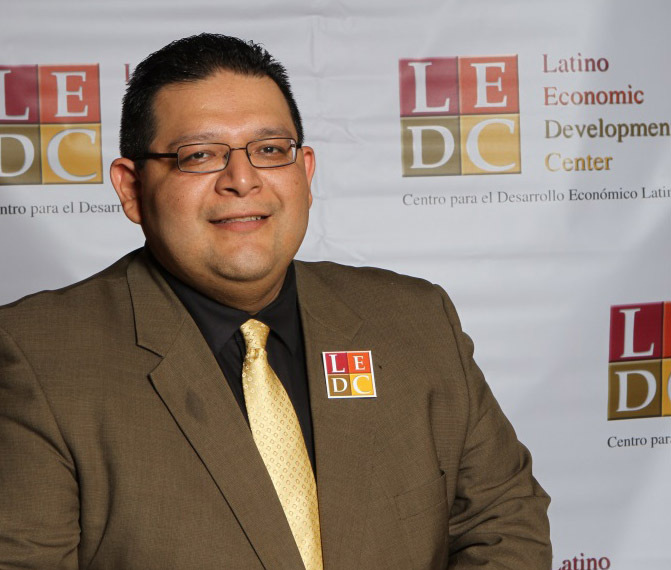 Mario Hernández is the VP and COO of the Latino Economic Development Center (LEDC). LEDC is Minnesota's statewide, membership, and ethnic based organization focused on transforming communities by creating economic opportunity for Latinos. At LEDC, he is responsible for the day-to-day operations of the organization, including fund development, human resources, financial administration and program management. 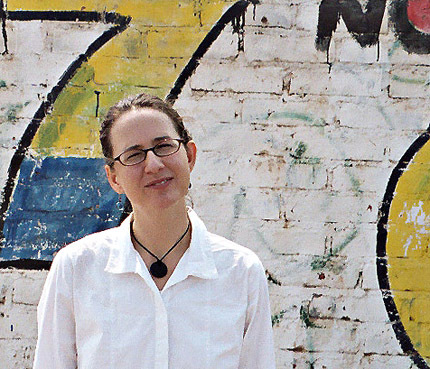 Katherine Richardson Bruna is an associate professor in the School of Education at Iowa State University. She is the director of the ISU 4U Promise. Her research interests include multiculturalism and bilingualism in schools and society, and teaching and learning in demographically transitioning community and classroom contexts. "Utilizing the Hispanic Needs Assessment as an Impetus for Action"
The Latino Civic Engagement Collaborative (LCEC) is made up of the executive directors from Latino-serving organizations in Kansas City, Missouri, including: Cabot Westside Health Center, Hispanic Chamber of Commerce of Greater Kansas City, Hispanic Economic Development Corporation, LULAC National Education Service Center, Mattie Rhodes Center, Samuel Rodgers Health Center and the Westside Housing Organization. The LCEC is dedicated to supporting the delivery of education, health, mental health, business development, housing, economic development and social services for the Latino population of Kansas City. John Fierro is the President/CEO of the Mattie Rhodes Center, known for its holistic approach to improving the well-being of individuals, families and the community in Greater Kansas City. Dr. Kathryn L. Fuger, Research Associate of the Institute for Human Development at University of Missouri-Kansas City, conducts program evaluation, applied research, and assessment addressing children and family issues. Carlos Gomez is the President/CEO of the Hispanic Chamber of Commerce of Greater Kansas City. Bridget McCandless, M.D., is the President/CEO of the Health Care Foundation of Greater Kansas City (HCF) and is a Board Certified Internal Medicine Specialist with an interest in chronic disease management and poverty medicine. She has previously served as the medical director and co-founder of the Shared Care Free Clinic, which serves uninsured, low-income adults with chronic illness. She also works closely in the areas of health care reform, patient advocacy and health literacy. The conference will include several site visits on Thursday, June 11, from 10:45 am - 1:45 pm to visit some of the excellent organizations demonstrating best practices of working with Latino and immigrant populations. There will be five different site visits (concurrently), see program for details. Changes to the printed program are noted below; additions are highlighted and cancellations have strikethrough . Powerpoints that are available are linked from the title of the presentation, which are underlined. HEDC was established in 1993 and is a certified 501(c) 3 not-for-profit Community Development Corporation (CDC). Founded for the purpose of developing and implementing economic development initiatives that would positively contribute to the quality of life for Latinos in the Greater Kansas City Area, HEDC utilizes its designation as a CDC to access various resources and tools while creating partnerships that allow the organization to continue to positively impact the communities it serves. The Alta Vista Charter Schools include the Academia de Niños, a middle school and high school. Established in 1989, and becoming a charter school in 1999, Alta Vista has developed over the years a model of providing an educational setting that addresses the needs of its students, which have been predominately low-income, from the urban core, and of Hispanic heritage. Guadalupe Educational Systems also has extensive youth programming activities. C. Kansas City Public Schools New American Academy Enrichment Program The New American Academy is a 6 week program that serves 50-60 of the most recent newly arriving English language learners grades 7-10. They rotate through ELA, math and a science/social studies classes during their 5 hour day, and also utilize digital math and language programs for individualized support. The English intensive academic curriculum is theme-based and includes a culminating digital storytelling project based on expressing identity in a new culture. Students participate in many enriching and engaging experience including field trips using the city bus and Teen Eats, a nutrition class and curriculum provided by Harvesters. D. Samuel U. Rodgers Health Center (SURHC) is a federally-qualified community health center serving over 25,000 of Kansas City’s most medically underserved individuals each year. We provide high quality, compassionate, and affordable health care for adults, women, and children along with dental services, a pharmacy, imaging services, and an extensive Women, Infant, Children (WIC) program. SURHC has been referred to as the “United Nations of Health Care in Kansas City” because of our extremely diverse patient population; we translated into over 35 different languages for our patients last year! During the site visit at SURHC, you will hear from our staff about the challenges and barriers that they face when working with such a diverse population and learn about our recent project in conjunction with the Health Care Foundation of Greater Kansas City to make waiting room videos promoting health literacy. You will also have the opportunity to tour our state-of-the-art facility and see our best practices for working with immigrant and refugee populations in action. E. Mattie Rhodes Center Mattie Rhodes Center is in our 121st year serving the Kansas City Community. Visitors will have the opportunity to learn about our unique history and current programming. Our program offerings include Latino Cultural Arts, Bilingual Mental Health, Community Programs and Youth & Young Adult Services. During the visit, Mattie Rhodes Center staff will share about our agency, our programs and our dedication to serving the Latino community with quality, creative programming. This session will be the launch of a collaborative to more efficiently develop materials that best serve Latino youth. By Poet Laureate of Iowa Mary Swander, Pulitzer Prize winning photographer Dennis Chamberlin, and ACT Kennedy Center award-winner Matt Foss. "Improving Health for Immigrant Populations: The Role of a Health Care Foundation"
"Health Care Access in Missouri: A Profile of the Latino Community"
Denzil Mohammed and Chiara Magini – The Immigrant Learning Center, Inc. Copyright © 2015 – Curators of the University of Missouri.